Passing The Ridge, the KLR’s nature changed markedly in a few yards. First the twin tracks merged to become one – seen here – and the tramway moved to the grass verge on the side of the road. Here too the traction poles supporting the overhead changed to wooden ones, which they would then be all the way to Kinver. 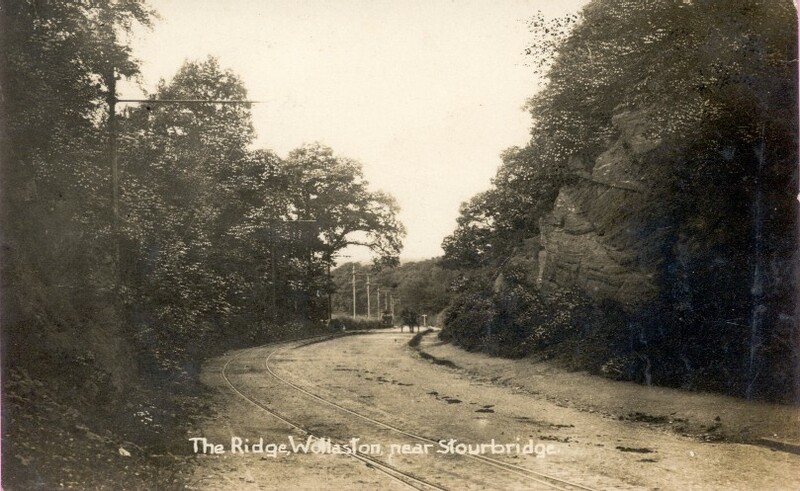 To the right can be seen the start of a footpath which the tramway company were required to built all the way to The Stewponey in order to deter people from walking along their tracks! Here a tram can just be glimpsed in the distance.